President Rodrigo Duterte admits that he hasn’t closed the book on his “love story” with Agusan del Norte Governor Angel Amante-Matba. In a speech in Isabela, Duterte cited anew Amante-Matba as one of the few people who supported him during the 2016 presidential campaign which he won as an underdog. “In Mindanao, I only had Zubiri, ‘yung matanda (Bukidnon Governor Jose Zubiri Jr.) pati ‘yung anak (Senator Migz Zubiri). And of course, the Davao guys. And before I forget si Angel Amante, governor ng Agusan del Norte. But ours is a different story. It’s a continuing — basta naga-continue,” said Duterte. 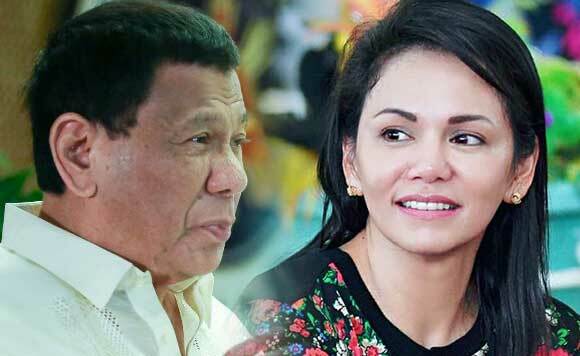 Duterte and Amante reportedly dated back during their prime after a meeting which he described being in love at first sight. “Iyung isa nasa Mindanao, because of love. Love talaga yun. I tell you baka sabihin niya ano, it reaches her ears, love talaga, love at first sight. Pero gaga yun, nanununtok yun. Tinamaan ako sa tiyan dito sa, natumba ako,” said Duterte in a report by ABS-CBN News.